Tom Phat is a restaurant we’d been planning to visit for some time before finally visiting for breakfast. 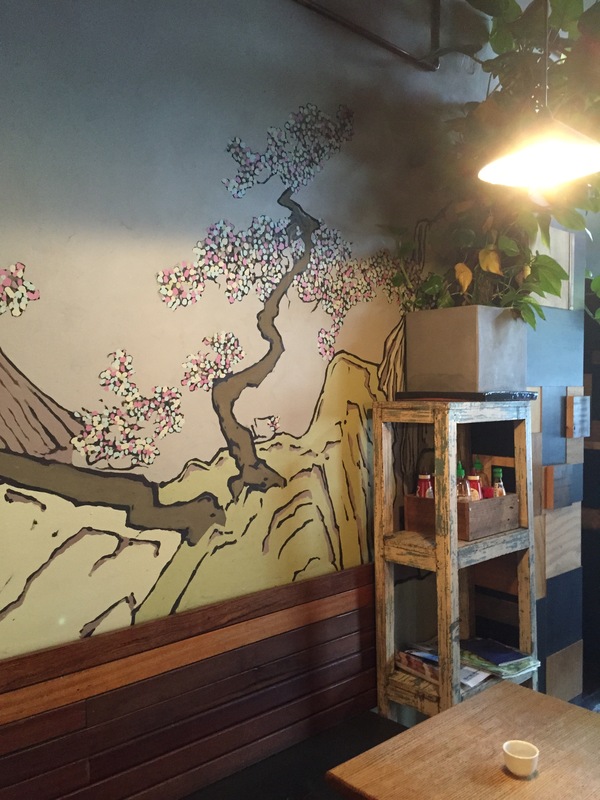 The decor is Asian but the food served is definitely fusion, a mix of East and West cuisines that culminated in a breakfast menu we absolutely had to sample! A traditional coffee isn’t the best choice here though. It was over extracted and the micro-foam wasn’t quite right. A better choice next time will be a different beverage or an Asian coffee option. One of the main reasons we visited was an infatuation with black sticky rice that meant we absolutely had to have it for breakfast. Of the meals that have been called dessert for breakfast as the trend grew over the last five years, Black Sticky Rice is certainly one of the more unusual. It’s sticky, hot and sweet, nicely spiced without being overly spicy or sweet and with a pleasant coconut cream. 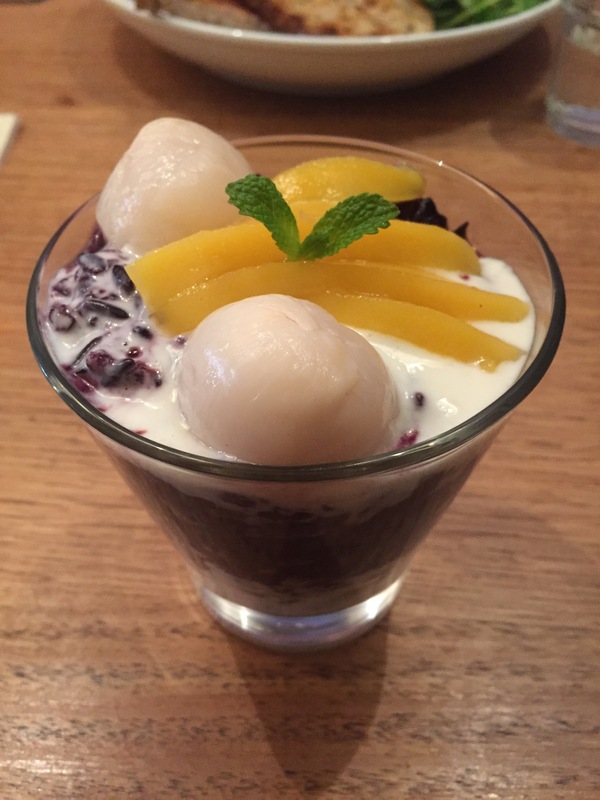 There was a light, slightly tangy lychee too. 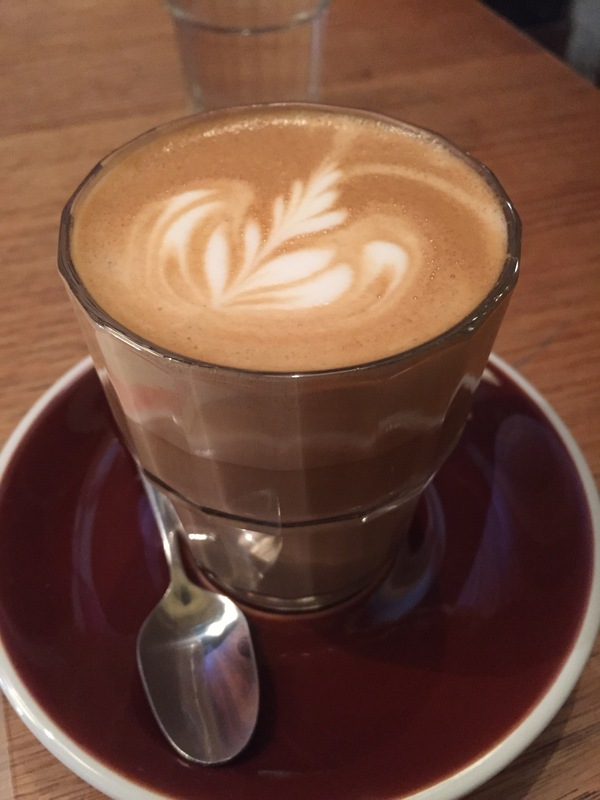 Our only criticism would for there to be a bit more cream to balance it out, others on the table had received more and were very happy with the balance of flavour. I would be lying if I said I wouldn’t come back just for the sticky rice. 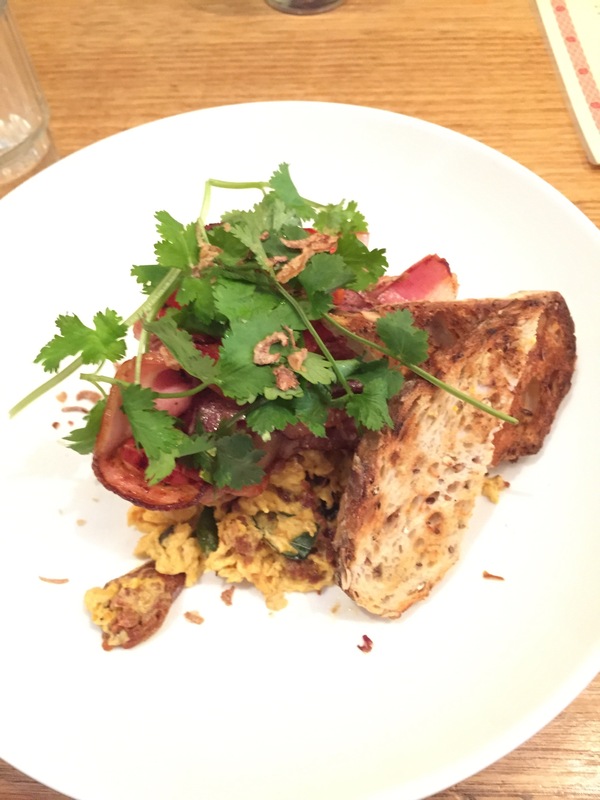 We also tried the Goan scramble, with a spicy chorizo, bacon, roasted tomato and a multigrain toast. The flavours were a good mix of meaty, spicy and creamy egg with the added crunch of the bread. Unfortunately it just wasn’t consistent in temperature and it really impacted the enjoyment of the dish when you hit a cold spot. 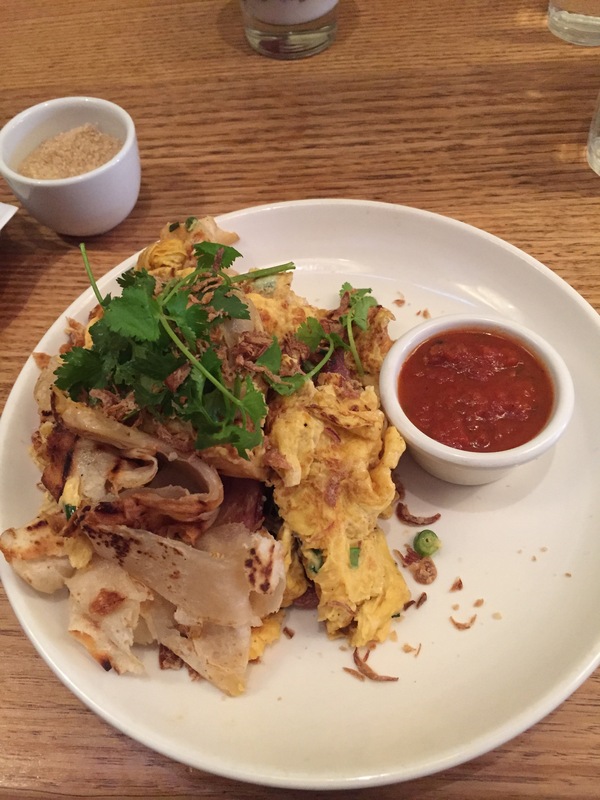 We also tried the roti scramble, a mix of roti and egg, with crispy bits of shallot, peas and a bit of spice. It was designed to be eaten all together and was best with a mix of flavours and textures. This was a great concept, but like the Goan scramble wasn’t served evenly hot which really impacted our enjoyment of the dish. Tom Phat offer something really different for breakfast and if you’re keen for a bit of Asian inspiration you’ll enjoy their dishes. 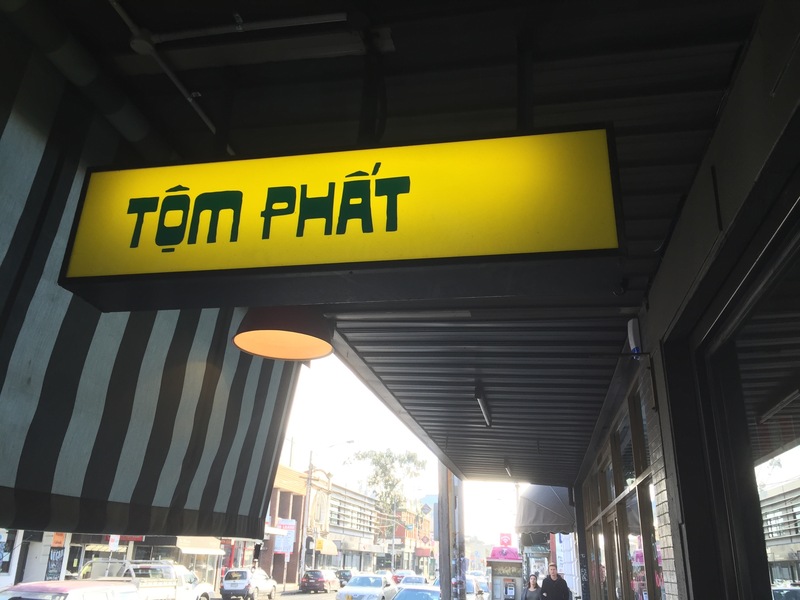 I’ve been visiting Tom Phat on and off for years. The menu always looks terrific but the delivery is highly inconsistent – sometimes it’s perfect and others it just doesn’t work, like your unevenly cooked dishes on this day.